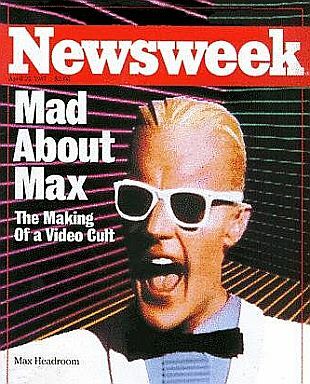 Will we like Newsweek’s digital makeover? The digitalization of Newsweek is another demonstration of the change and, for some, the demise of print publication. Although I shouldn’t be, I’m always a little surprised when another newspaper or magazine either closes its doors, or goes digital. I guess it’s because I grew up with all the print publications, and had them delivered to my door, as did my parents. Although I wasn’t a frequent Newsweek reader, I would purchase it on occasion particularly if it was an interesting issue. From the cover to the photos inside, Newsweek was a beautifully produced magazine. The change in the way they do business is just another example of the evolving face of print publishing. All publishing for that matter. I remember when the Newark Star-Ledger, New Jersey’s largest newspaper, downsized its operations because of declining circulation, and decreased their newsroom staff by 40 percent by offering the employees a buyout. Since I look for story ideas everywhere–especially the news–I subscribe to USA Today, but electronically. It’s convenient getting the issues on my Nook or iPad, and I’ll always have it in my story library. I admit, it’s changed the way I read the paper. How about you? Has the change in print publications changed the way you get your news? The Decline of an industry is definitely worth reading. I hope you find it interesting. This entry was posted in Thoughts, Writing and tagged Daily Beast, iPad, New Jersey, New York Times, Newsweek, Nook, Tina Brown, USA Today. It’s changed everything. I don’t even have time to pick up the Sunday paper, let alone read my magazines. I feel sad thinking about the changes because it’s a very different experience to read a magazine in your hands than it is to stare at a computer screen. I agree! When I bought Newsweek, it was nice to “flip” through the pages and feel the paper between my fingers. Online brings a whole new way of way of reading.